Welcome to our Free Fireworks Tutorial section! Here you will learn some cool Fireworks effects, we'll teach you useful Fireworks tips & tricks and you'll have a great time learning Fireworks. 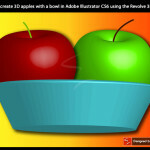 In this tutorial you’ll learn how to create 3D apples with a bowl in Adobe Illustrator CS6 using the Revolve 3D effect. 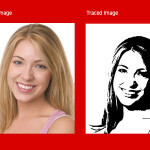 In this tutorial learn about Image Trace feature, which can automatically turn the photos into a vector graphic. 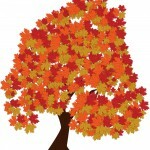 This tutorial will teach you how to create a beautiful maple leaf tree from scratch using Illustrator. 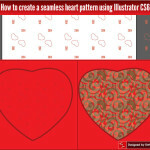 In this tutorial, I will show you how to create a seamless heart pattern for Valentine’s Day, using Adobe Illustrator CS6. 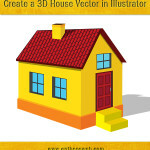 Patterns in Illustrator are easy to use, and they can be applied to fills, strokes. 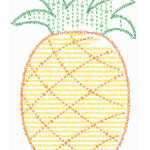 In this tutorial you will learn how to create a typography for your Illustration using Adobe Illustrator CS6. New! 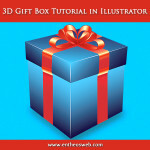 Create a neat button with 2D effect in Adobe Fireworks. New! Create a colorful Christmas tree with bokeh effects. Learn how to create a simple typography illustration in Fireworks. Learn how to trace and draw a Panda image in Fireworks. Learn how to blur an image and blend text with an image in Fireworks. Learn how to create an amazing website layout design with curves.